A very merry surprise to help everyone ring in the holiday season, our little swing jingles with joy and brims with cheer. 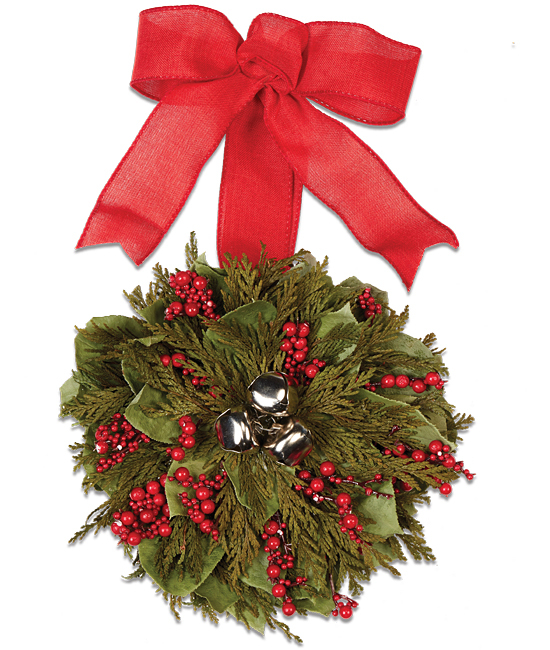 A perfectly petite 5 inches in diameter, its salal and cedar base is ornamented with red hypericum berries and finished with three silver bells at the center. The red organza bow lets it hang on any drawer handle or doorknob.